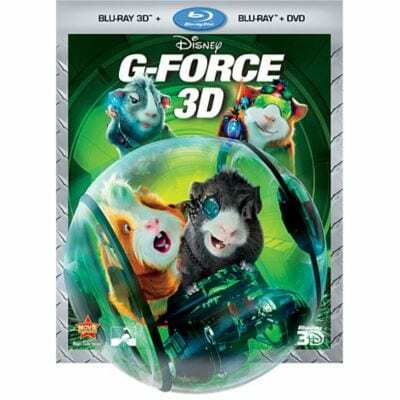 Just as the elite team G-Force is about to save the world, the F.B.I. shuts the secret unit down. But these next-generation action heroes won't be stopped. Armed with the latest high-tech spy equipment, and with the F.B.I. on their tails, the fur flies as they race against the clock to save the world. Exciting Music Videos: "Jump" By Flo Rida Featuring Nelly Furtado; "Ready To Rock" By Steve Rushton; "Go G-Force"
Exciting Music Videos-- "Jump" By Flo Rida Featuring Nelly Furtado--"Ready To Rock" By Steve Rushton--"Go G-Force"
DisneyFile Digital Copy -- Watch Your DVD In The Living Room And Your DisneyFile Digital Copy On The Go! From taming a magnificent wolf-dog to taming the wild, a boy must conquer his fears and become a man in this epic outdoor adventure!